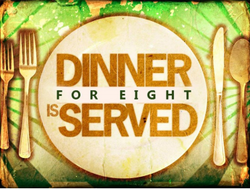 Our Dinners for Eight sessions help you make new friends and get to know your church family better! Dinners for Eight match groups of grown-ups to gather once a month and break bread. We're in! Sign us up!